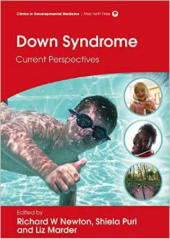 People with Down syndrome are particularly susceptible to infection. Contributing factors to this include both immune and non -immune factors. Respiratory infections are the most common and a frequent cause of morbidity and mortality in people with Down syndrome.Non-respiratory viral, bacterial and fungal infections are generally not more common or severe in Down syndrome. There is no specific abnormality of immune function in people with Down syndrome . Abnormalities reported include lower numbers of B and T-lymphocytes, particularly naive lymphocytes, as well as low IgM concentrations Despite these observed abnormalities immune response to infection is usually adequate ,so non-immune causes for recurrent or persistent infections should be considered. Where non immune causes have been excluded and there are still concerns, specialist immunological investigations and advice should be sought . People with Down syndrome have a higher prevalence of certain autoimmune disorders including autoimmune thyroid disease, Type 1 Diabetes Mellitus, coeliac disease and some autoimmune skin conditions such as alopecia and vitiligo. Onset may be insidious , particular for thyroid disorder and coeliac disease. Autoimmune disorders can occur earlier in childhood than in the general population , and gender prevalence is equal , unlike the general population. In view of the high prevalence screening for thyroid disorder is recommended, and although screening for diabetes or coeliac disease is not recommended , enquiry into possible symptoms should be made at medical reviews, and there should be a low threshold for testing . DSMIG’s evidence-based guideline for basic essential medical surveillance.